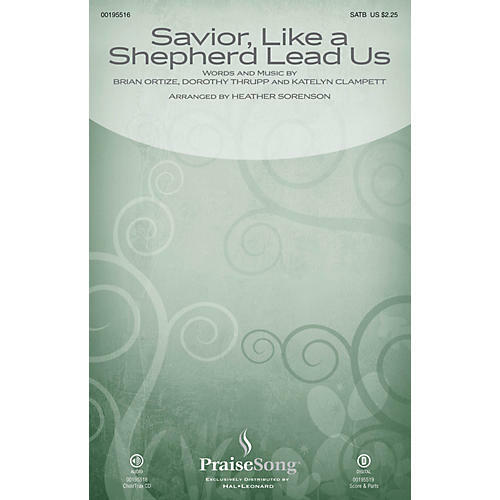 Uses: Christ the Good Shepherd, General, Lent Scripture: Psalm 23; John 10:3 A re-thinking of the time-honored hymn, this contemporary folk anthem is instantly appealing. Driven forward by a subdivided keyboard accompaniment, the musical vibe is one of unrelenting energy. This positive pulse releases into a chorus that sweeps us up into a repetitive affirmation of our security in the grace of Jesus. The arranger craftily winds the piece down to a more devotional ending, bringing a hushed assurance and the spirit of commitment to this unique offering. Score and Parts (perc, pno, bjo [both synth and acoustic], ac gtr, b, dm, solo vn/fdl, vn 1-2, va, vc) available as a digital download.